No movie monster deserves a summery green drink more than The Creature; when you’re ready to entertain friends at the seaside or relaxing near your favorite lagoon, our cocktail is a perfect accompaniment. 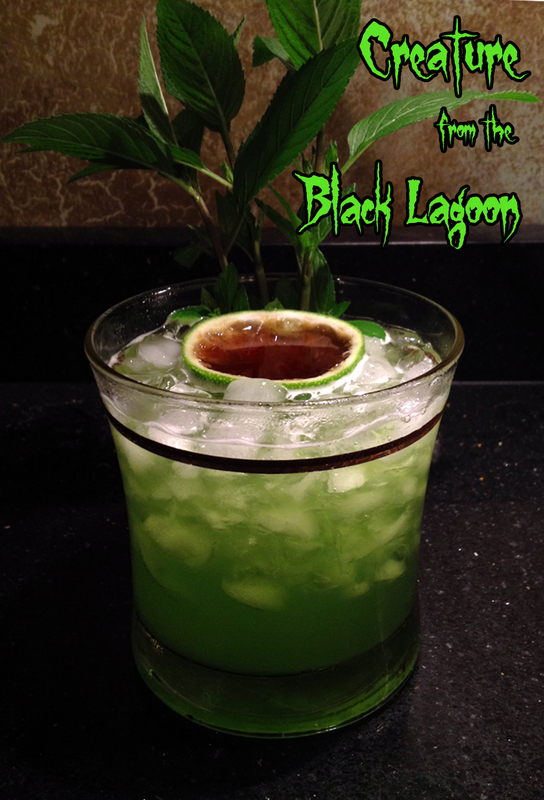 The Brazilian locale of the movie makes Cachaça the obvious choice, and we were careful to include a “black lagoon” feature. Shake VIOLENTLY! for a good 30 seconds (we demand a well-shaken cocktail). Strain into a large rocks glass filled with crushed ice. 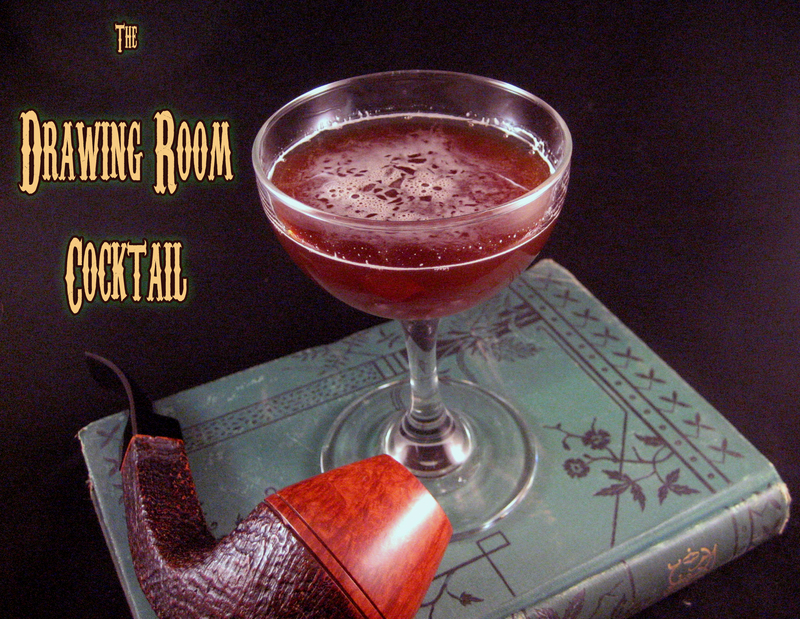 Set the reamed lime half in the ice as a bowl and fill that with the Kraken or other dark rum. Add a straw and enjoy. The vegetal nature of the Cachaça offsets the Midori and makes a clean and refreshing drink with a hint of Tiki influence. Just don’t go swimming alone!